I must confess that this isn't actually a recent haul but one I did back in January! I took the photos when the order arrived and came across them in my unedited blog photo folder. Has I've had quite awhile now to use the brushes, it's about time I shared my thoughts on these with you all! I decided to order from Crownbrush after reading a haul post by Gemma over at Miss Makeup Magpie. Crownbrush brushes are extremely affordable but look more expensive with the sleek silver and black packaging, so it was inevitable I was going to do my own haul and ordered four eye brushes. I picked this brush up as I was after something small to use with gel eyeliner for those days when you just want a thin, more natural looking line. This brush is extremely small, perhaps a little smaller than I'd like, but it is ideal for precise application. 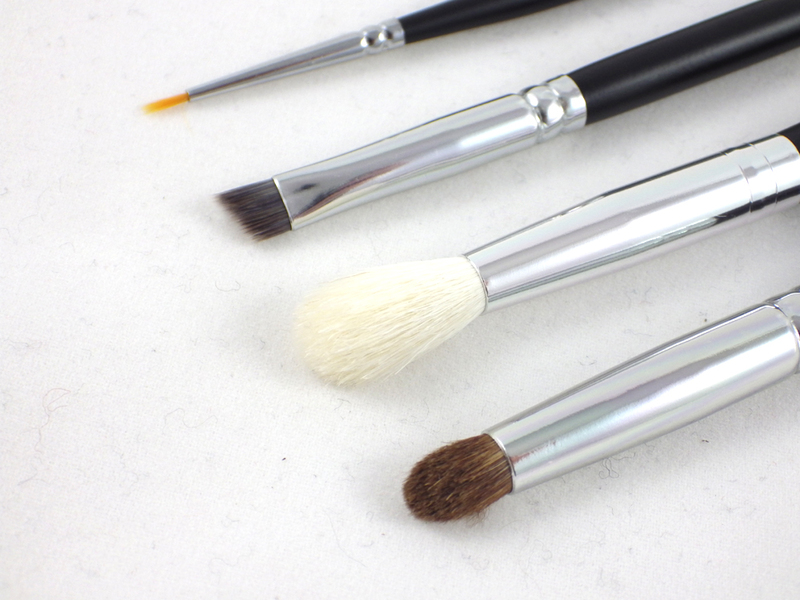 The reason for this order started with wanting an angled liner brush like this to apply eyeshadow as eyeliner. The SS006 Deluxe Angle Liner really is ideal for this sort of application - the bristles are firm but flexible enough to go with the shape of the eye. I simply dampen the end of the brush and dab it onto the eyeshadow before applying. This brush would also be good for filling in eyebrows with powder. In her post Gemma mentioned that this could be a budget dupe for the popular MAC 217, so it just had to go in my basket! The white, tapered bristles certainly make it look like the MAC 217, though unfortunately I can't compare the actual application. It is absolutely fantastic at blending out eyeshadow - either in the crease or all over the lid. The only thing is that after a few washes the C441 went from feeling soft to more bristly, which was a little disappointing. The C138 really appealed as it seemed like a great multi-tasking brush with a small, round, tapered head, which is densely packed. I use it for applying eyeshadow directly in the crease of my eye and then blend it out with the C441 Pro Blending Crease. I also use it for bringing eyeshadow softly across the lower lashline. 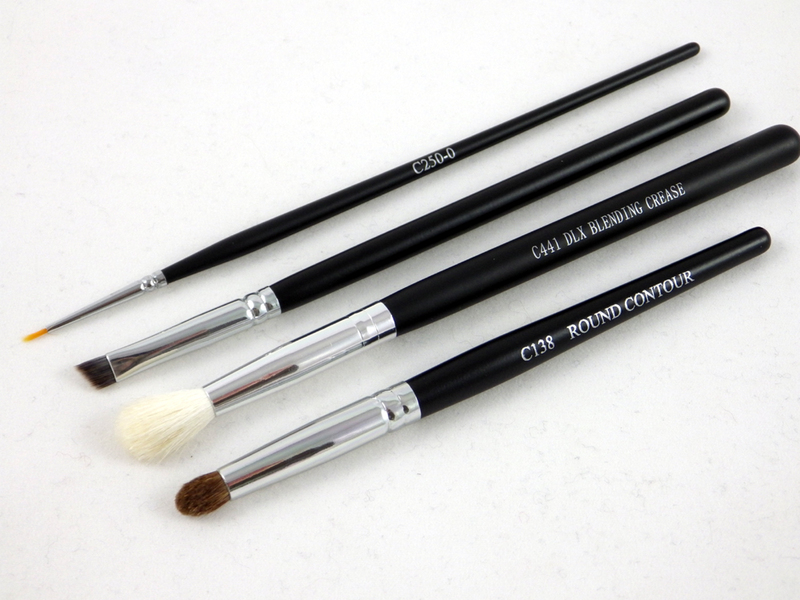 Crownbrush also recommend it for softening pencil liner and applying highlight to the inner corner of the eye. In summary I am really pleased with my Crownbrush haul (I can forgive the bristly C441 for the price) and would definitely order from them again. 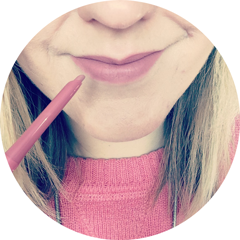 If you're after some budget makeup brushes then I certainly recommend checking them out - you can visit their website by clicking here. Have you tried any Crownbrush makeup brushes? Are there any you'd recommend? I've never heard of this brand before but it sounds pretty good and realllly affordable. Fabulous haul! These are so cheap! You can afford to try a few and find a couple of really good ones! These look great are they cruelty free?